NFL star Ray Rice indicted on charges of assault and domestic abuse. 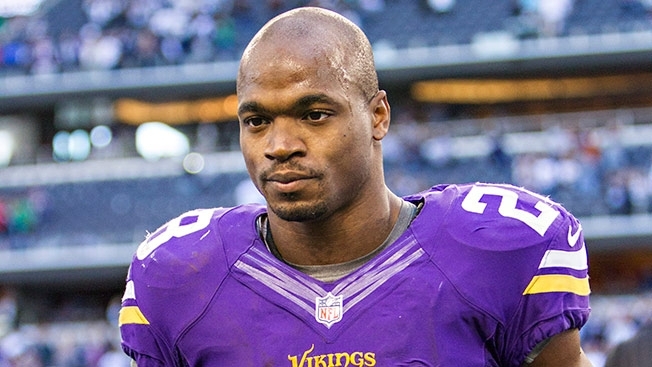 Adrian Peterson indicted on charges of aggravated assault and reckless injury to a child. Olympic hero Oscar Pistorius imprisoned for the death of his girlfriend. These extremely high-profile cases, part of a seemingly endless stream of allegations of violence against women—involving athletes such as Quincy Enunwa, Ray McDonald, Greg Hardy, A. J. Jefferson, Matt Barnes, DeAndre Liggins and Jared Sullinger in little over a year—have left sponsors and ad agencies recoiling in disgust. And sports marketing experts warn that the multimillion athletic endorsement game, which took off with Arnold Palmer in the 1960s and peaked with Michael Jordan in the 1990s, will never be the same. Yes, big names like LeBron James and Peyton Manning will continue to command multimillion-dollar, multiyear deals. Ditto for retired legends such as Jordan, Derek Jeter and David Beckham. But many CMOs are terrified their endorser of today will end up on TMZ tomorrow. To protect themselves from the ensuing scandal, they are now offering short-term deals and smaller paychecks. According to Bob Williams, CEO of Chicago's Burns Entertainment, which represents companies seeking celebrity spokespeople, a typical contract now lasts only one year with options. Sponsors are also inserting tighter and more onerous morals clauses that allow them to jettison athletes with minimum fuss. The days of major sponsors relying on a single celebrity endorser may be over. As Accenture learned in 2009 after depending exclusively on Tiger Woods for branding everything from its print ads to stationery, your company is only one scandal away from needing major repositioning. According to Ryan Schinman, CEO of New York's Platinum Rye Entertainment, which Forbes calls the world's largest broker of celebrity talent, more marketers will try to mitigate risk by following Subway CMO Tony Pace's model of using five or six endorsers for short-term campaigns. "If something happens with one of the endorsers, you still have four more that can be the face—and can be rotated in," said Schinman. Dropping athletes has also become more commonplace and happens quicker. Once, Nike would publicly stand by scandal-plagued endorsers such as Woods, Lance Armstrong or Michael Vick long after charges had been filed. In 2014, however, Nike dropped Rice and Peterson soon after the scandals broke, and fired Pistorius immediately upon his conviction of culpuble homicide. Why are sponsors quicker to pull the trigger? It probably isn't an increased sense of social responsibility. It's how quickly graphic images and video can spread virally. "We're in a world where social media and video capture everything," warned Schinman. "Pictures are very hard to deny. … It's one thing to hear about it. It's another thing to see it." NBA great Charles Barkley explained that take-no-prisoners outlets like TMZ and Deadspin leave badly behaved athletes with no place to hide. "It's a different animal when it comes to endorsing now. You have to understand: If you screw up now, it's going to be out there," Barkley said. This article is the first part of Adweek’s series on the decline of big-ticket athletic endorsements. Check out the other installments below.